Yes, this week can show MCPE 1.10 which is expected to finish the beta series of Minecraft PE 1.9. New update is a new feature about which we can learn from the latest snapshots of Java version. The only confirmed feature is the shields, they will certainly be added to 1.10 and will be the first of all the content. 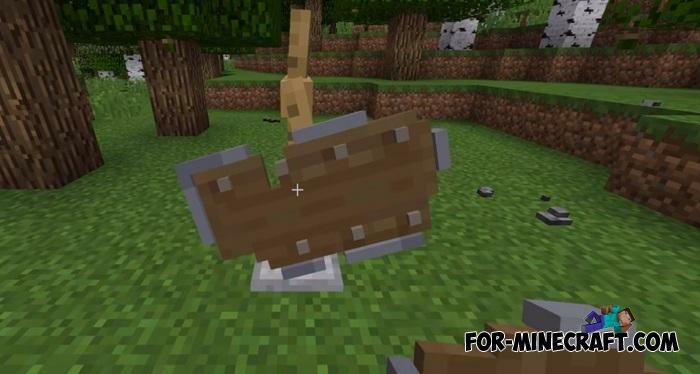 Minecraft Bedrock Edition 1.10, like 1.9, will be called the Village & Pillage Update. According to the developers, it will bring a bunch of new features that everyone dreams of. But there is no complete list of changes yet and we cannot be sure exactly what will appear in MCBE 1.10. As usual, it should be Java snapshots content adapted for smartphones. 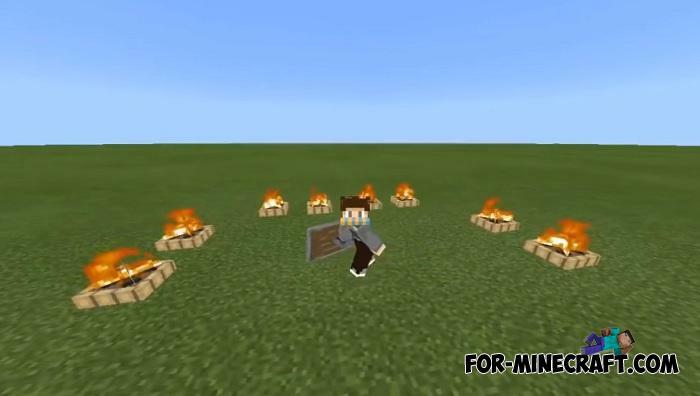 If you at least once crafted shields in Minecraft PC, then you know what it is. Shields perform the same role as in real life, that is, protect you from sword strikes and shots. The advantage of the shield is that the player can use the second hand to hold the weapon and attack the opponent. A recently introduced feature on Minecraft 1.14 has now reached MCPE. 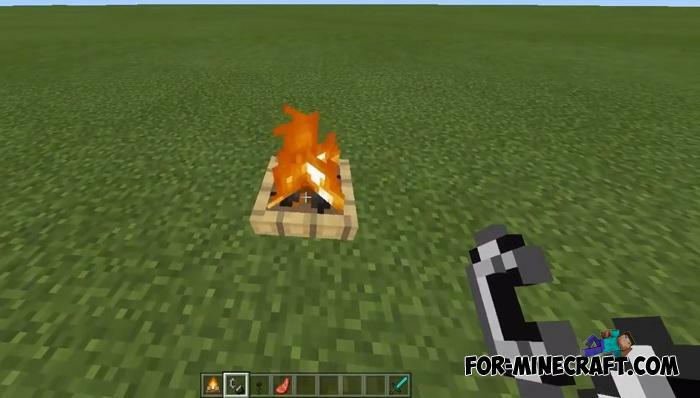 Campfires are a new way to cook food and light up dark areas, it is quite simple and can be placed anywhere. Ignition and extinguishing the fire takes place through interaction as well as frying meat. This is a small chance but it is. 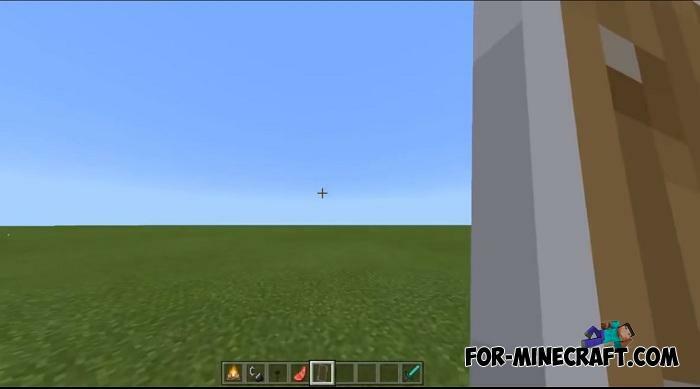 Perhaps Minecraft PE 1.10 will receive new functional blocks such as a grinding stone, a smelter, a loom and others. Their names speak for themselves and they diversify crafting and production process. This feature is partially implemented in Java but not in PE. What are the chances that new villagers will be added to 1.10? It is unlikely that the first beta version will show them to us, but most likely the villagers will be ready in MCPE 1.10.3 or later. Mojang said they would try to make villages so that the player would seek and interact with a multitude of residents instead of one or two as is happening now. New types include librarians, farmer, fisherman, gunsmith and others. Instead of a few houses and structures, the villages in Minecraft PE 1.10 will get more features and become similar to truly inhabited settlements. Each villager will have a house and adjoining plot in their possession different from the others. 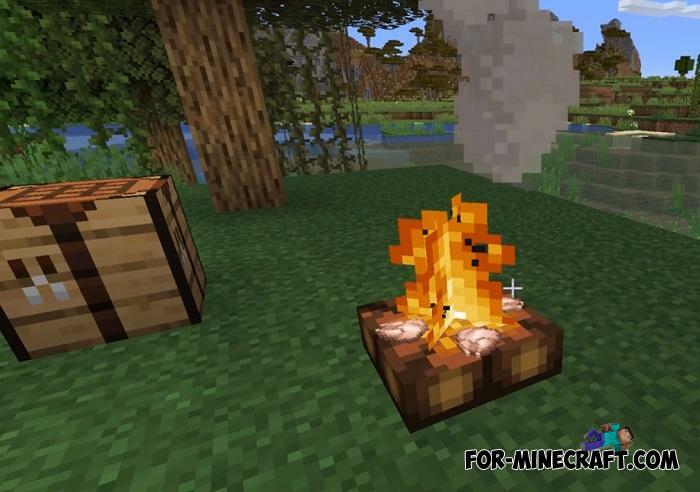 Download Minecraft BE 1.8.0.8 Village & PillageOh, did you expect this update so soon? Just a week ago, the developers talked about MCPE 1.8, and this update received the first beta version 1.8.0.8.. The Village & Pillage Update map for MCPE 1.7Village & Pillage is the name of the next Minecraft Bedrock Edition update focused on villagers and updating biomes..